Have You Ever Had A Sale Go Wrong? Maybe a client that just didn’t order anything after you had worked so hard to take some great photos? Maybe you have had a client that wouldn’t return your phone calls after you had left a message after they didn’t show up for their sales session, even though you had confirmed the appointment the previous day? Being a photography business coach my clients (on the odd occasion) ask for my help in resolving difficult or confused customers. “Me and my partner have been talking and we are not going to be able to afford the photos after all we are not financially stable at the moment and just scraping by just to buy groceries for our family. We are really sorry about this, but still would love to come and have a look”. Or this the day after a purchasing session…..
“Nicole and I would like to have the picture of Will with the football printed as an 8 x 10, as included in the gift voucher we received. Unfortunately, we will not be purchasing any of the other photos at this stage. I feel that it is important to provide you with feedback regarding the reasons why. First and foremost, we consider the pricing to be quite expensive. Your cheapest package price of $495 is a substantial amount of money for our young family. Having resolved that we weren’t willing to pay for a package, we discussed ordering just one or two prints, as your cheapest canvas at $750 was also out of the question. Two 5 x 7 prints would set us back $290. To put this in context – if we went to an above average print shop, to print a 16 x 20 canvas there the cost is $125; two 5 x 7 premium matted photo prints is $10; the cost of printing your cheapest package would be $31.20. Whilst I appreciate you are a professional running a business for profit, these differences in pricing seem large. Even considering our thoughts on pricing, we are still human and swayed by emotion. Had there been an outstanding family shot with all four of us in frame that we fell in love with – unquestionably we would have been more inclined to justify the purchase. For whatever reason, out of the 20-30 pictures we viewed there were only a handful that had us all in frame and certainly from our opinion none of these fell into that category. Overall, we were left feeling slightly disappointed with the whole-family shots. Although we did really like a couple of the shots with just Will and several of the shots where Nicole wasn’t in them; it was important to us to get at least one shot with us all together. What about this after a purchasing session, which only the mother attended. “It was lovely to see you today and to see the amazing photographs that you have taken of my babies. I loved them. My husband however, is furious that I have agreed to spend way more than we can afford. This is not your fault – totally my own – I’m just wondering if there is anything we can do now that I’ve already paid the deposit. I wouldn’t ask this if I wasn’t desperate, but is there any possibility of you reducing the final cost? Colin is comparing it to professional photographs taken of the children at pre-school (6 x individual portraits professionally printed at 5×7 in a book plus one 12×8 for a total of $49). I think he feels like we’ve been duped as I originally told him it was donation for the charity of $50 which included a professional print. Like I said, this is my fault, I felt somewhat under pressure to buy the pictures (which I love) but I’m now in a position whereby I’ve bitten off more than I can chew. My husband accepts that the cost of the custom framing is possibly not unreasonable but is flabbergasted that I have agreed to the cost of the photographs themselves. Even the biggest and best business has its share of customer complaints, but the key is to handle them in a professional way. The old saying that “the customer is always right” is not always true. 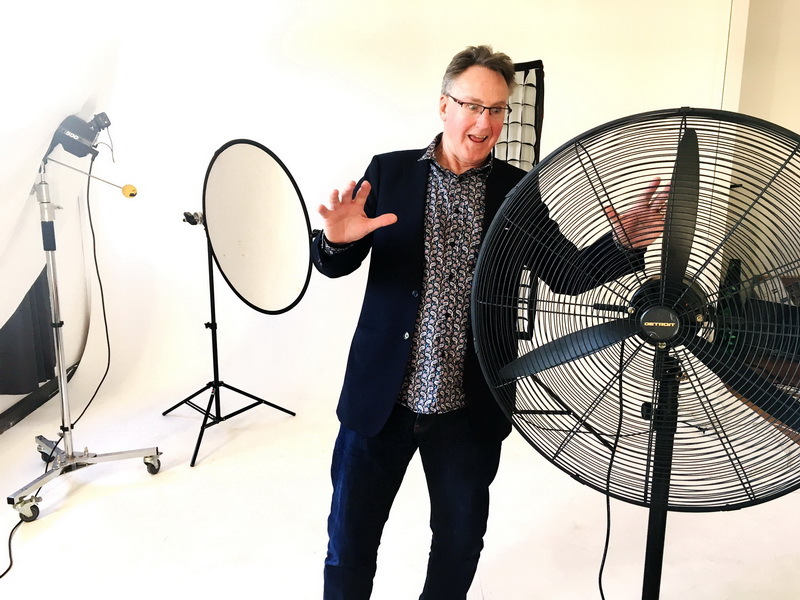 The challenge in my photography business was always to turn a complaining customer into a raving fan! I have done this many times, and I must admit it took me a while to learn how to do this. The first thing you must do is take the emotion out of the conversation, although you may have been hurt by what the customer has said. A complaint can be upsetting and emotionally draining, so it is best to act (after careful thought) and get back to the client quickly. Do not treat any complaint as though it is trivial, as it gives out a negative vibe toward you and your business. In my experience as a photography business coach, the longer you leave the complaint unresolved, the more sleep you will lose. Base the path toward a resolution on the facts of the complaint. MAKE SURE YOU LISTEN to the customer and hear what they say. Firstly THANK THEM for bringing it to your atention. This will surprise them and will give them a sense that you are taking it seriously and are willing to solve the problem. Get the customer to write down exactly what it is that they are not happy with, especially if there is more than one thing that they are unhappy with. Then think about “giving in” to some of their demands and work towards a compromise to resolve the issue/s. Having a structure and meeting a customer’s complaints head on will enable you to obtain a fairly quick and equitable solution. Turn them into a raving fan by giving them something extra like doing an extra print or one or two files of files. Remember……your challenge is to turn them into raving fans. Being a Photography Business Coach I have done a lot of marketing over the years and as much as I’m happy to work on SEO, build relationships with other business owners for 3rd party marketing opportunities, sponsor raffles and auctions, have a newsletter and email list, go to bridal expos… Facebook remains by far the best way to get new customers and create income. Learn how easy it is to have your ideal clients chasing you up for shoots, with this step by step Facebook Ads Course. The beauty of these proven Facebook ads for photographers, no matter if you’re shooting weddings or portraits – and when I say portraits, it could be newborns, toddlers, families, pets or couples – using targeted ads the way I cover in the course, means you you can reach your best clients so easily. If you want to grow your photography business and get some consistency, do this simple and repeatable system. There are only a few things to implement and you’ll be off and running. PLUS if you buy the course within the next 3 days I will give you a FREE ONE HOUR Coaching Session, and answer all your questions to help your business grow. Posted in Uncategorized | Comments Off on Have You Ever Had A Sale Go Wrong?